You’re searching for a compact SUV, right? Well, you shouldn’t spend a whole lot of time comparing your potential options. 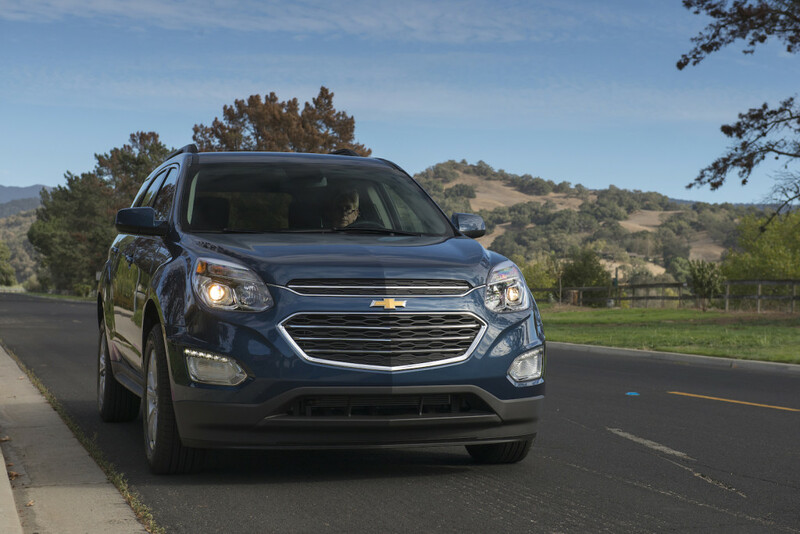 After all, the 2016 Chevy Equinox provides everything a driver could possibly want from this type of vehicle. The Equinox is equipped with a powerful (albeit, still efficient) engine, and the accompanying mechanics make for one of the best driving experiences possible. The comfortable interior is full of technological amenities, and owners will also learn to appreciate the abundance of cargo room out back. Plus, the SUV is incredibly affordable. Could you really ask for more from this type of ride? 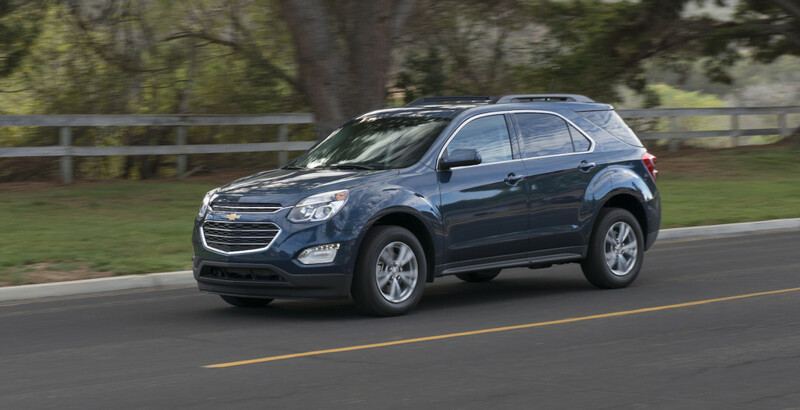 While you shouldn’t spend a whole lot of time exploring the other compact SUVs, you’re going to want to start researching the 2016 Chevy Equinox’s various options. Drivers can choose between four different trim offerings, with each of these versions providing their own specific features and capabilities. The most affordable of the Equinox’s trim options, the ‘L’ still provides a number of amenities and capabilities. In other words, drivers won’t receive a lesser product just because they opted for the least-expensive trim option. For starters, the 2.4-liter DOHC four-cylinder engine is included under the hood. This unit is plenty powerful, offering 182 horsepower and 172 pounds-feet of torque. Plus, thanks to technologies like Eco driving mode, the system is also relatively fuel efficient. The system delivers a 32 mile per gallon highway efficiency, a number that’s more common in sedans than SUVs. This engine is accompanied by the reliable six-speed automatic transmission. On the outside, engineers included body-color bumpers with charcoal lowers, giving the SUV a distinctive, one-of-a-kind look. The 17-inch painted aluminum wheels also demand attention, and their strength will play an important role as you travel through any adverse conditions. Head to the inside, and drivers will find a new interior lighting unit, as well as premium cloth seats. The driver’s seat is power-adjustable, so owners won’t have to struggle to determine their optimal seating position. To take advantage of the 63.7-cubic-feet of cargo space, the Equinox includes the 60/40 split-folding seats. This allows for maximum versatility, as drivers can manipulate their interior to cater to their cargo or luggage. In regards to technology, the seven-inch diagonal touchscreen leads the pack. Operating on the Chevrolet MyLink software, the unit allows drivers to access satellite radio, a navigation application, or any other useful information. Drivers can even utilize the rear vision camera, which allows them to better see all of the happenings behind their vehicle. Last (but certainly not least), the remote keyless entry allows for maximum convenience, and the technology can also serve as a deterrent for any potential thieves. The LS sees several upgrades over the ‘L’ trim. Perhaps most importantly, the vehicle is accompanied by a three-month subscription to SiriusXM satellite radio. Thanks to this service, drivers can appreciate hundreds of different radio stations, providing endless hours of entertainment during those boring commutes. A digital compass is also included on the LS trim, which will certainly come in handy as drivers are trying to regain their bearings in an unfamiliar setting. Finally, drivers can opt for all-wheel-drive capabilities, which is an appreciated feature for those who have to drive through winter storms. The next available trim sees several mechanical upgrades, particularly when it comes to the engine. This particular Equinox is equipped with the 3.6-liter V6 engine, which can pump out a best-in-class 301 horsepower and 272 pounds-feet of torque. As a result, drivers can expect a 0-to-60 time of 6.7 seconds, and they can also take advantage of the 3,500-pound towing capacity. Thanks to technologies like Variable Valve Timing, drivers can appreciate the still-respectable 17 city/24 highway mile per gallon efficiency. The entire unit is accompanied by the sport-tuned suspension, which more than compensates for this uptick in power. On the outside, drivers will find LED daytime running lights, as well as body-colored side mirrors. 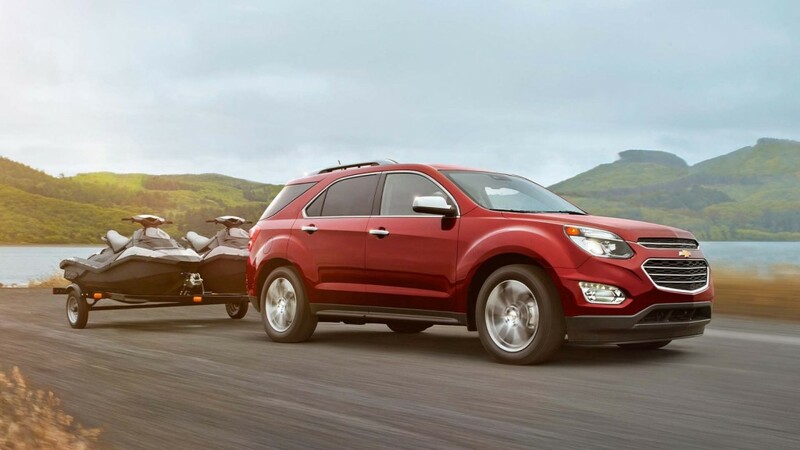 The rack side rails will allow you to better secure equipment to your Equinox, while the 17-inch painted aluminum wheels will allow the driver to trek through snow or dirt. The inside is accentuated by “enhanced” interior lighting. If customers opt for the available Convenience Package, they’ll be acquiring a number of convenience and comfort features. Comfort-wise, each of the passengers will appreciate the automatic climate control, which will adjust your cabin’s temperature based on the outside temperature. The heated front seats will provide some extra warmth on those cold mornings, and the eight-way power-adjustable driver’s seat provides the operator with even more seating options. The leather-wrapped steering wheel adds some luxury to the interior, while the remote vehicle starter will allow drivers to start their Equinox from the comfort of their own homes. Meanwhile, the available Drive Confidence Package delivers three essential safety functions: the Side Blind Zone Alert, the Rear Cross Traffic Alert, and the Rear Park Assist. These technologies surely played a significant role in the nameplate having earned the ‘2016 Top Safety Pick’ designation from the Insurance Institute for Highway Safety. If you truly want to maximize your driving experience, you should opt for the priciest LTZ trim. Why’s that? Well, this particular version of the Equinox provides a number of amenities that help take the SUV to another level. Drivers and passengers will appreciate the comfort perforated leather-appointed seats. Meanwhile, the memory settings for the driver seats and exterior mirrors will eliminate any morning inconveniences. That way, if you often find that your significant other is traveling in your Equinox, you won’t struggle to find your ideal seating position. The exterior is highlighted by new fog lamps, 18-inch machine-faced aluminum wheels, and chrome door handles, exterior mirrors, and roof rack side rail inserts. Combine these amenities with many of the previously-mentioned capabilities and features, and you’re eyeing one of the most impressive compact SUVs on the market. Depending on your budget, any of these Equinox trim options could be the proper fit for you. Of course, the best way to determine a potential fit is by visiting a dealership and getting a look for yourself!